This fun Shamrock Shake recipe will hit the spot on St. Patrick’s Day or anytime you find yourself craving a sweet green shake! It’s so easy to make and makes for a great dessert or snack. Every year on St. Patrick’s Day, everyone wants a Shamrock Shake. I mean, you kind of have to drink one on St. Patrick’s Day, right? But I think we should extend the luck of the Irish just a little bit longer than the actual day and enjoy them all February, all March… and how about the rest of the year, too? 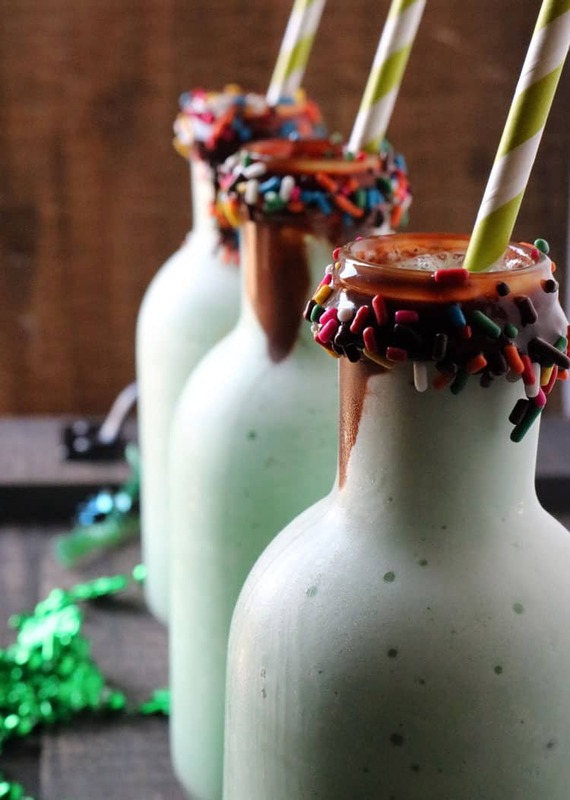 We’re a big fan of St. Patrick’s Day drink recipes, this is one we make over and over again. Not to mention we just love shakes period. All flavors of shakes, like our 1,000 Calorie Weight Gainer Shake, Healthy Orange Smoothie and Pumpkin Cream Cheese Milkshake. Did you know the first Shamrock Shake was introduced (by McDonald’s) in 1970? But the first version was nothing like what we commonly think of as the Shamrock Shake. It had lemon/lime sherbet in it! It took a few years for them to come their senses remove the sherbet, although the shake was a vanilla flavor for quite a while until they finally added the mint flavoring (the best part, in my opinion!). Interesting, don’t you think? And to make the Shamrock Shake, all you have to do is put the ingredients in a blender and blend until smooth. This shake recipe makes two servings, although if you want to make mini-shakes with fewer calories, go for it! 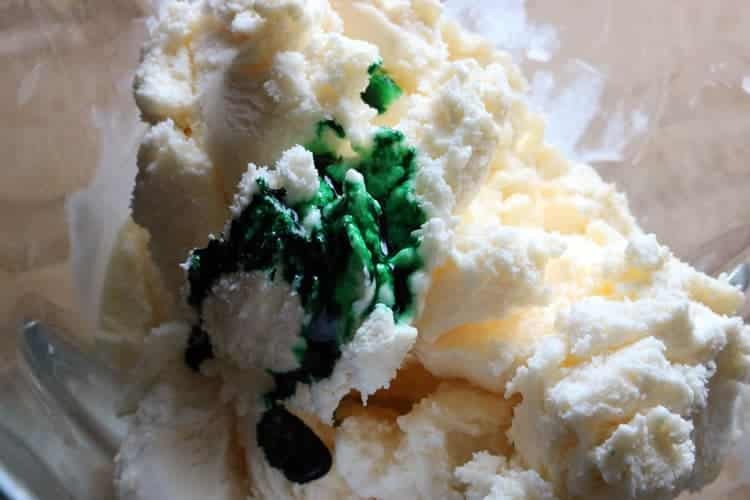 If you want to make a healthy Shamrock Shake in the sense of fewer calories and grams of fat, you can use a low-calorie milk or milk substitute (like almond milk) and a low-fat or fat-free ice cream. Make one for your family… pay it forward! I’m feeling a little lucky right now enjoying the milkshake pictured. Pair it up with some Candied Pretzel Sticks and you’ll be the household hero! This easy shake recipe is a perfect way to celebrate St. Patrick’s Day in a refreshing and cheerful way. 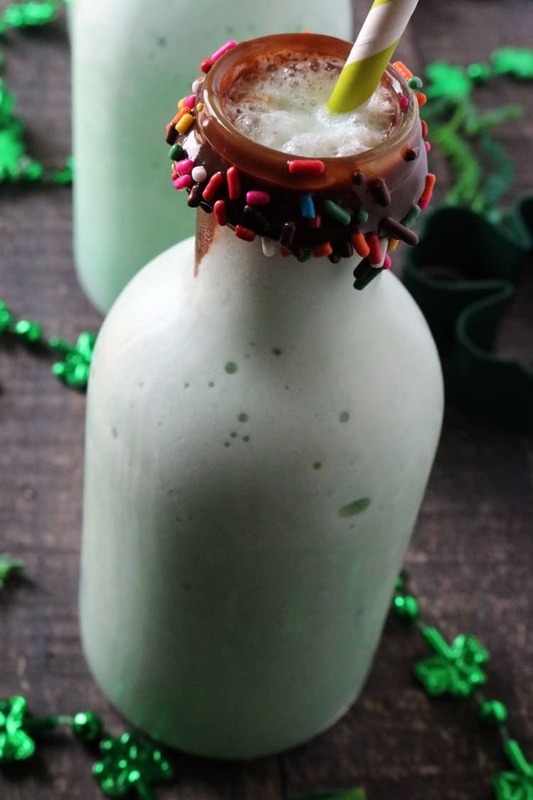 Enjoy a little green and luck of the Irish on St. Patrick’s Day (or any day) this year with our favorite Shamrock Shake recipe! Looking for the BEST Shamrock Shake? 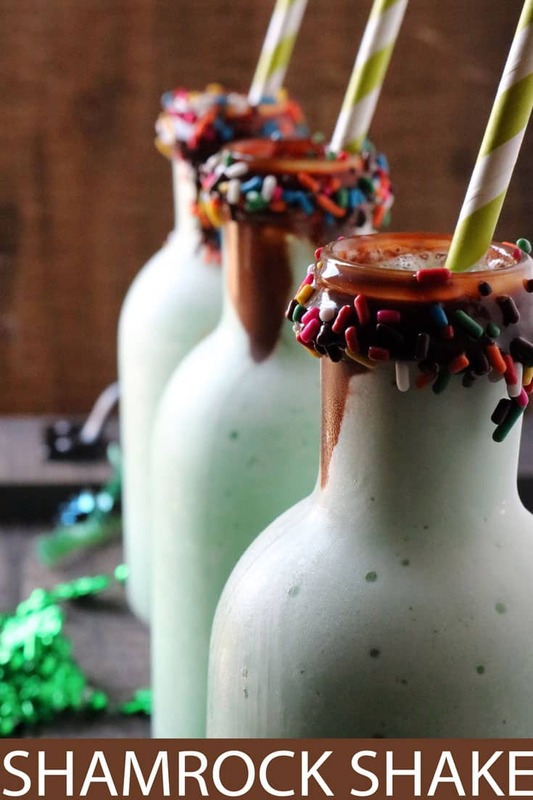 This Shamrock Shake recipe is the perfect easy shake for you to throw together. 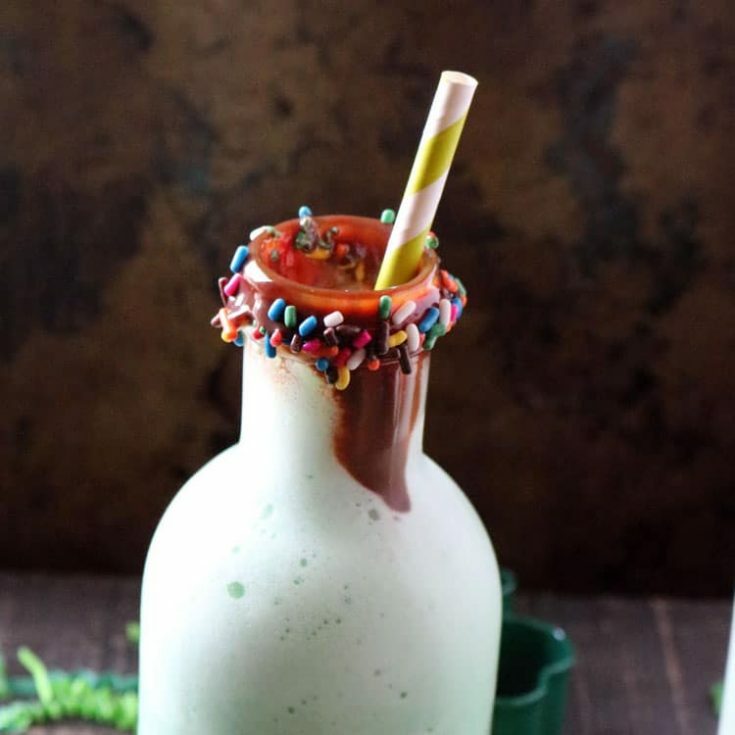 Ice cream, milk, mint flavoring, and green food coloring make this the perfect St. Patrick's Day shake! 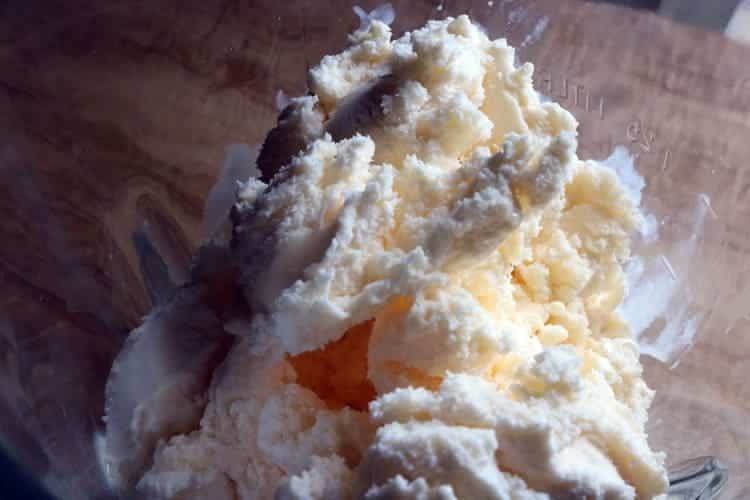 In blender, add ingredients in order listed for best results. 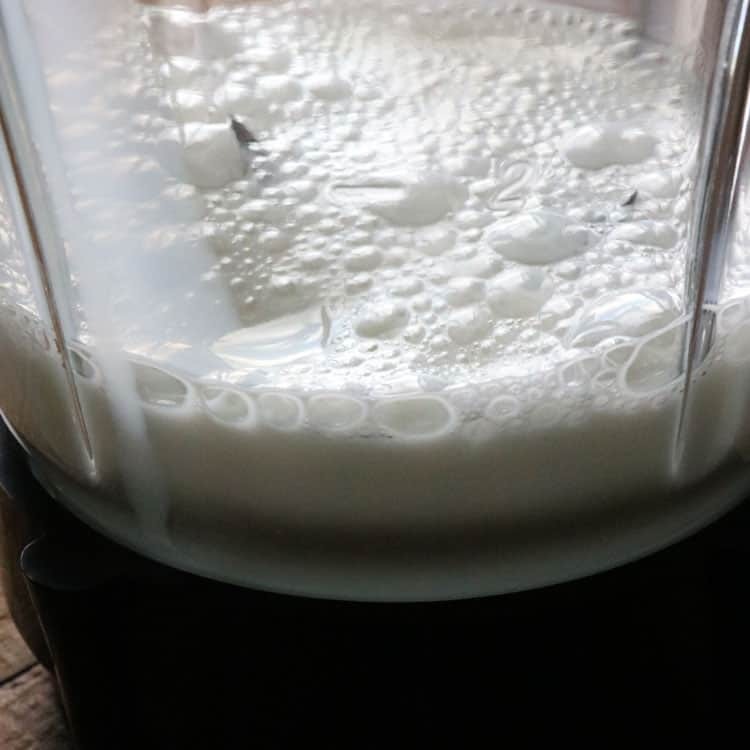 Blend until smooth and pour in glasses to serve. How festive! I love how simple the ingredients are too! I know so many people that love Shamrock Shakes! I never would have guessed it would take so few ingredients (not sure why I thought otherwise though). I’ll be sure to share this with my followers!